'When I Grow Up' part two! Robin and Superboy - in the clutches of Lex Luthor! The boys are in big trouble! How exactly are they supposed to explain what's happened to Superman and Batman? 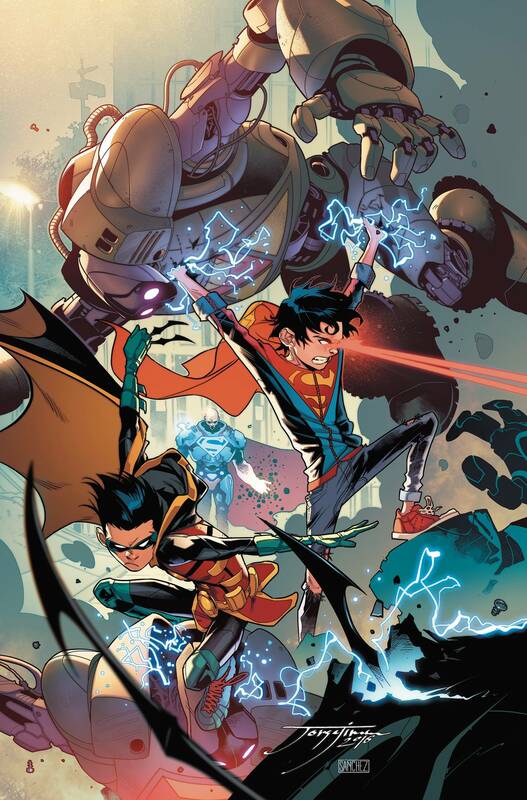 Plus, Kid Amazo's power grows, and this tyrant in the making is about to make life miserable for the Super Sons!